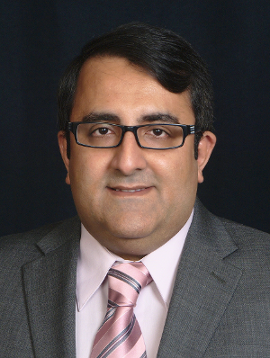 The primary focus of the Photonics Research Group, headed by Dr. Arash Mafi, is on the application of theoretical, computational, and experimental methods for cutting-edge research in photonics, especially on nonlinear and quantum aspects of guided-wave optics. Guided-wave optics, whether in the form of optical fibers, or as plasmonic and silicon nano-waveguides, is the fundamental platform in device applications in photonics and will always remain at the frontiers of research in photonics. Our group has access to advanced computational and experimental facilities at the Center for High Tech Materials and Department of Physics & Astronomy at the University of New Mexico and benefits from several on-going collaborations with other academic institutions and industry. 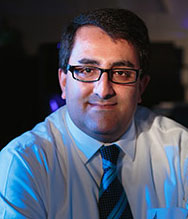 Arash Mafi, Ph.D., Director, Center for High Technology Materials, Professor, Department of Physics & Astronomy. July 2016 - present, Director, Center for High Technology Materials, University of New Mexico. December 2015 - August 2016, General Chair, Optical Science and Engineering Program, University of New Mexico. July 2018 - present, Professor, Department of Physics & Astronomy, University of New Mexico. August 2014 - July 2018, Associate Professor, Department of Physics & Astronomy, University of New Mexico. August 2013 - August 2014, Associate Professor, Department of Electrical Engineering and Computer Science, University of Wisconsin-Milwaukee. August 2008 - August 2013, Assistant Professor, Department of Electrical Engineering and Computer Science, University of Wisconsin-Milwaukee. April 2005 - August 2008, Senior Research Scientist, Science & Technology, Optics & Communications, Corning Incorporated, Corning, New York. August 2001 - March 2005, Post-Doctoral Research Associate, Optical Sciences Center, Arizona Center for Mathematical Sciences, and Physics, University of Arizona. Mafi named 2018 Optical Society Fellow, "for pioneering contributions to fundamental understanding of quantum and nonlinear behavior of optical waveguides, light propagation in disordered media and development of Anderson-localizing optical fibers." UNM scientists awarded $7.5 million for laser research. Our work on using disordered fibers to transmit images has been selected by Physics World of the Institute of Physics (IOP) as one of their Top 10 Breakthroughs in Physics in 2014. Our paper on image transport through Anderson localized fiber is published in Nature Communications, 5 3362 (2014). Our paper on light focusing in Anderson localized fiber is published in Nature Communications, 5 4534 (2014). Our paper on migrating transverse-Anderson localizations of light in nonlocal media is accepted for publication in Physical Review Letters, (2014). Dr. Mafi receives the Early Career Development (CAREER) Award from the National Science Foundation (2013). Dr. Mafi will present an invited talk on "Transverse Anderson localization in disordered optical fibers," at the Frontiers in Optics 2013. First observation of transverse Anderson localization in optical fibers in featured on photonics.com and phys.org. Article featured in Spotlight on Optics: Transverse Anderson localization in a disordered glass optical fiber. Ryan Frazier wins the 1st place award for his research on the "Generation and Detection of Entangled Photons" in the fourth College of Engineering and Applied Science student research poster competition held on April 20, 2013. Dr. Mafi is awarded an AFOSR research grant on nonlinear pulse propagation in multimode optical fibers (2012). 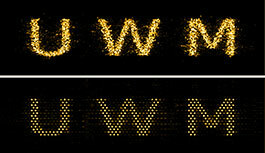 Dr. Mafi is awarded a UWM RGI grant on gain-guiding optical fiber lasers and amplifiers (2011). Dr. Mafi is awarded a UWM RGI grant on the wavelength dependence of birefringence in nonlinear optical fibers (2010). To Arash Mafi and colleagues at the University of New Mexico, University of Wisconsin-Milwaukee, Corning Inc. and Clemson University, all in the US, for using the phenomenon of "Anderson localization" to create a better optical fibre for transmitting images. Disorder in an optical fibre usually blurs transmitted images, but Mafi and colleagues have shown that by putting the right kind of disorder in the right place, the ability of a fibre to transmit sharp images can be enhanced. Indeed, their prototype produced a sharper image than the best available commercial imaging fibres. The technique involves using Anderson localization of light.